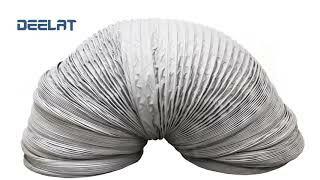 The flexible duct is 8” diameter and has a length of 33 feet. The material is nylon (polyamide) and the thickness is 1/64". The temperature range is -40°F to 194°F.